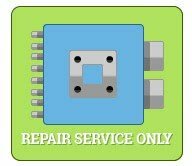 Ready to repair your old PCM - Powertrain Control Module engine computer? Solo Auto Electronics has a trusted in-house team of dedicated automotive electronic technicians to fully inspect and analyze the diagnostic trouble codes reported by your module and to rebuild your [PCM / ECM / ECU] engine computer at a fraction of the cost it takes to be replaced by the dealer. All you have to do is plug in and drive! Feel free to contact us today at 1 (888) 848 – 0144 for any additional questions.